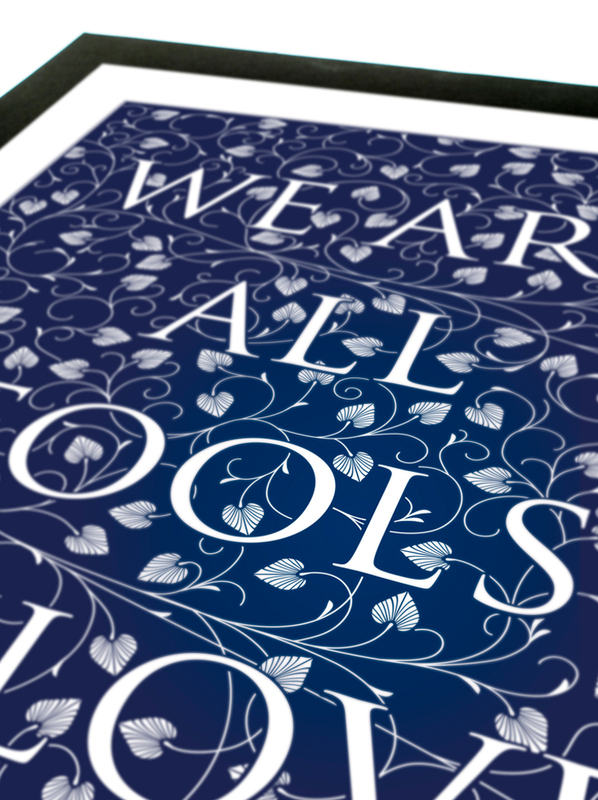 Hand printed screenprint in dark rose ink or dark blue ink on Pristine White Colour Plan paper stock. The size of the paper is 50 x 70 cms which fits standard pre-made frames. The quote is taken from Pride & Prejudice by Jane Austen.